Hitachi has announced that work has begun on TransPennine Express’ new fleet of intercity trains. 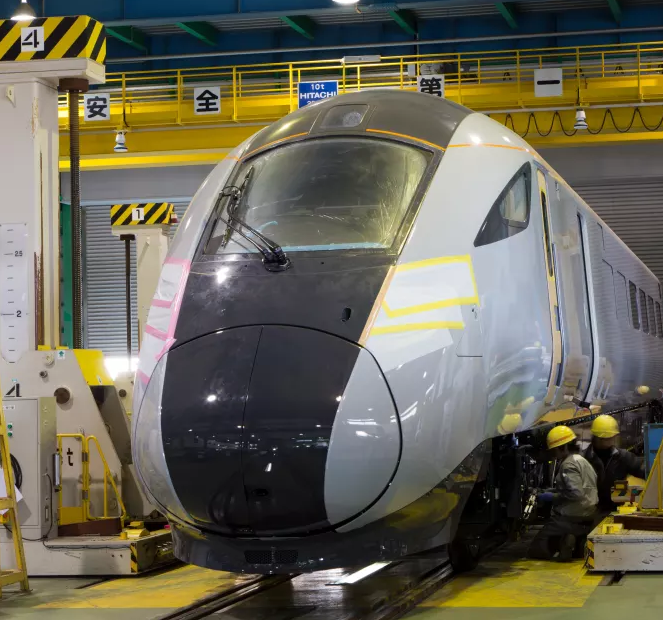 Production has begun on two test trains, which are being made in Japan and will arrive in the UK in the summer of 2018 for testing ahead of them entering passenger service in December 2019. The bullet train-inspired fleet is being built by Hitachi and financed by Angel Trains. 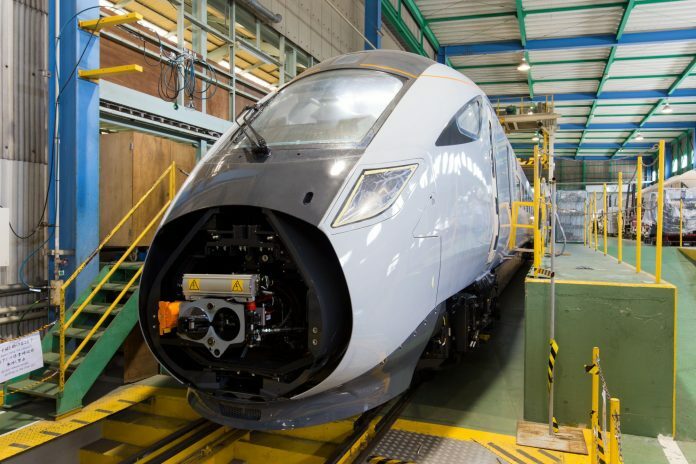 It will be maintained at Hitachi’s £80 million Doncaster depot. This fleet will connect major cities in the North of England and Scotland and will run from Manchester and Liverpool, across the Pennines to cities such as Leeds, York, Newcastle and Edinburgh. The 19 trains will all be hybrid, meaning they can switch seamlessly mid-journey between electric and diesel power, able to run in either five or ten carriage formations, and capable of speeds of up to 140mph in electric mode and 125 mph using diesel engines. By using modern MTU engines from Rolls-Royce, the trains will cut harmful emissions under diesel power by up to 90 per cent. Each new train will come with free wi-fi and an on-board entertainment system, Exstream, allowing customers to stream the latest movies and TV shows during their journey. TransPennine Express managing director Leo Goodwin said: “The construction of our third, brand new fleet of trains is tremendously exciting news for customers. “Once in service in 2019, these will be some of the most advanced trains in the UK and coupled with the other new trains we are having built, will provide an additional 13million seats a year. By using modern diesel engines…. harmful emissions cut by 90%…. 90% of what? Coal burning steam engines? Sorry, you should not just post Grayling propaganda, transpennine needs full electrification, it is an intercity mainline not a rural branch! I agree with Allan Ralston. The transpennie route needs full electrification not just for TPE, Northern does operate more services on the entire route. Instead of expensive diesel how about batteries? What about Hull Trains. They are also getting the Class 802 AT300’s in few years.